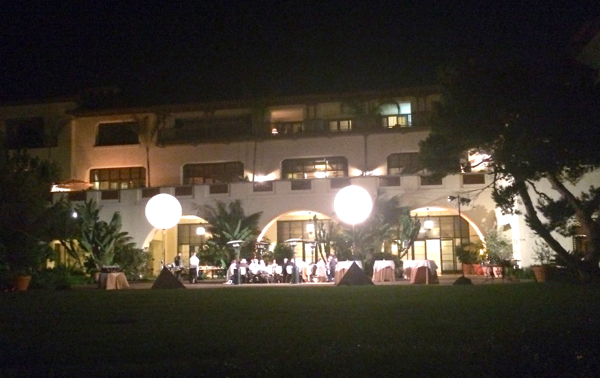 We Are Now…South Bay Confidential! We’re moving … up and out! If you’ve enjoyed reading South Bay Sparkle, please visit us over at our new home, South Bay Confidential. You’ll find all sorts of news and tidbits about the South Bay, plus the most extensive real estate search database in the entire area. Check it out, look around, let us know what you think. Thanks again for reading South Bay Sparkle! Spring has sprung at Knott’s Berry Farm, and with it comes the return of the annual Knott’s Berry Bloom celebration. Knott’s Berry Bloom – which runs from April 12 through April 27 – features displays of beautiful spring colors, interactive family-friendly activities, expanded gourmet food and wine tasting opportunities, and more. New for 2014, the Ghost Town Boysenberry Festival will honor this delectable berry (our favorite!) 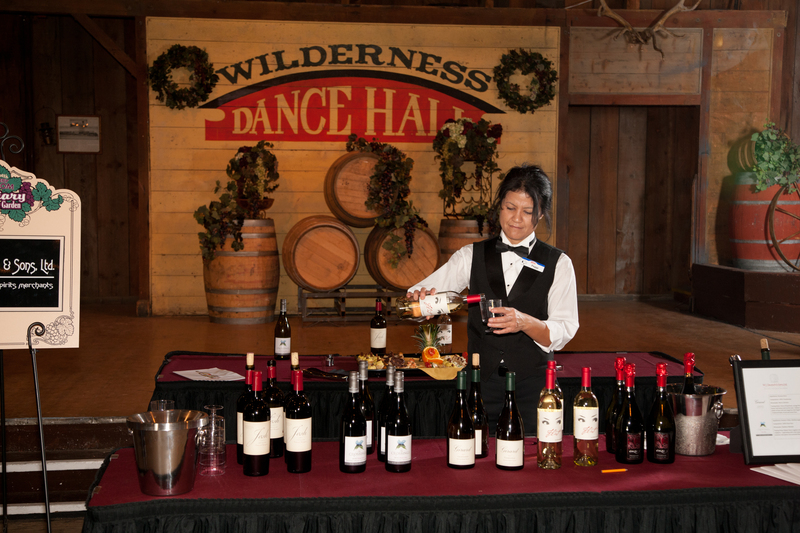 by allowing guests to wine, dine, and buy boysenberry inspired products throughout the streets of the Old West. The founders of Knott’s Berry Farm will be honored through Walter & Cordelia Knott’s Original Roadside Boysenberry Stand, from which guests can purchase authentic boysenberry plants and preserves. Throughout Ghost Town, guests can watch demonstrations of canning homemade jam, blacksmithing, and cooking up homemade boysenberry glazes. 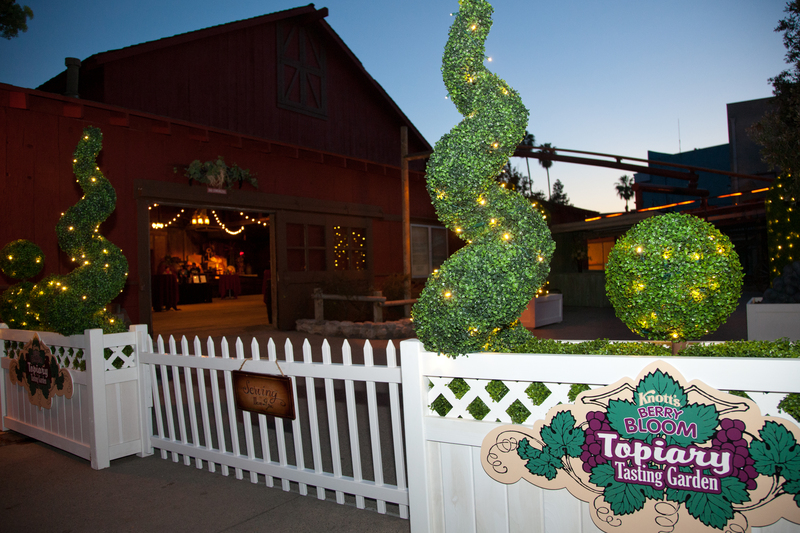 On School House Road, guests can try their hand at Western-themed games with a boysenberry twist. Daily boysenberry pie-eating contests will take place in front of the Birdcage Theater. And when the sun sets on Ghost Town, the buildings and midways light up in (what else?) festive boysenberry purple hues. Live entertainment includes Krazy Kirk and the Hillbillies (nighttime, outside Birdcage Theater), Peanuts Party in the Park (Charleston Circle), Bloomination! (nighttime, Charleston Fountain), Flower Power (Camp Snoopy Theater), and live salsa dancing in Fiesta Village. 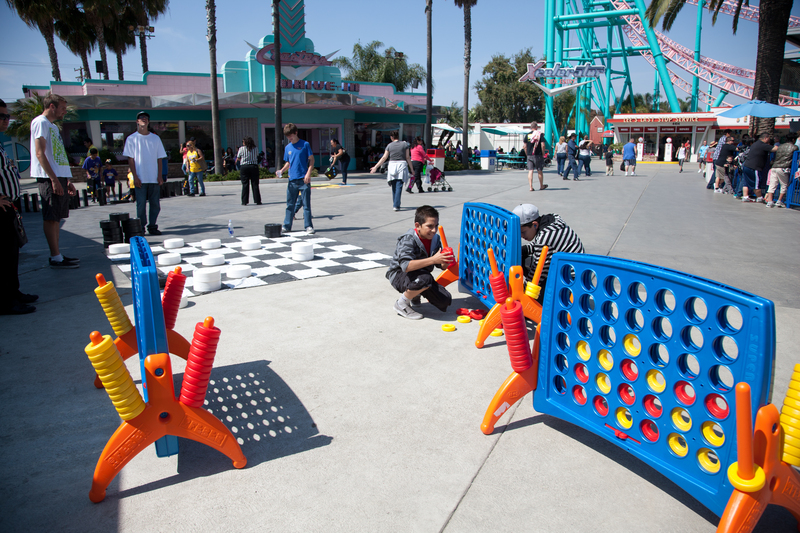 Other interactive fun includes the Easter Beagle’s Enormous Egg Hunt with prize locations for kids 3 to 11 years old, and Big Boardwalk Games (oversized shuffle board, tic-tac-toe, and bowling) near Xcelerator. Knott’s is open extended hours from 10am to 10pm during Knott’s Berry Bloom, allowing guests extra time to take advantage of all of the limited-time offerings. To track the fun, follow the hashtag #KnottsSpring on Twitter and Instagram. Running at night on the beach, surrounded by colorful lights? 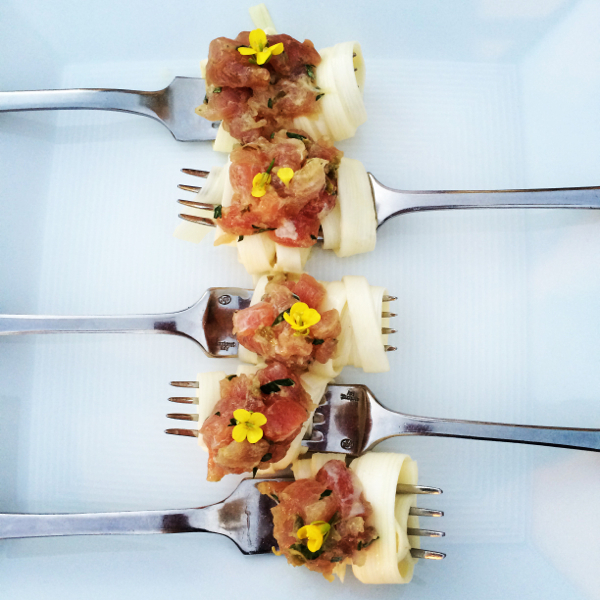 Sounds like a great Manhattan Beach tradition! The Manhattan Beach Yuletide 5K is by far the coolest race in town. The Yuletide 5K takes place at 5:30 pm on December 21, the Winter Solstice, also known as the longest and darkest day of the year. But you don’t need to worry about darkness: The course is lit by luminarias, and all pre-registered runners (and same-day registrants while supplies last) receive glow necklaces. 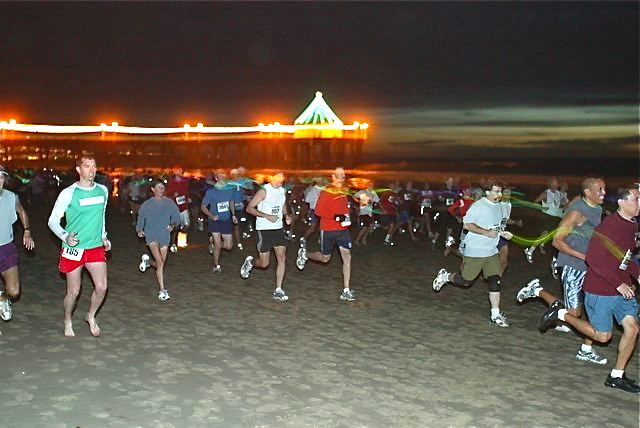 The race starts and finishes under the Christmas lights of the Manhattan Beach Pier. Runners heat out north to the jetty at 45th Street, and then back. The super-low tide creates a perfect running surface of hard packed sand like a dirt road so running with or without shoes is an option (track spike are OK too! ), as are baby joggers. Kids are welcome to participate in the 5K, or else they can take part in age-specific kid runs: The Elves Dash 1K starts at 6:30pm (age 7-12); the Little Elves run 400 meters at 6:40pm (age 3-6); and Crawlers race 50 meters at 6:50pm (age 2 and under). Registration is now open, so get in early and get ready to run (and glow!) on the 21st. You love playing games on your iPad, and you love going to the movies – What if you could do both at the same time? That’s the idea behind “Nightmare Before Christmas – Second Screen Live” – a crazy/fun family movie experience showing in select theaters around the country right now. Many Tim Burton fans know the general premise behind Nightmare Before Christmas – Jack Skellington, king of Halloweentown, discovers Christmas but doesn’t quite understand the concept. There’s plenty of song, hidden jokes, detailed animation, and visual fascination throughout the movie. And that’s why it makes for the perfect movie to combine with puzzles and games. 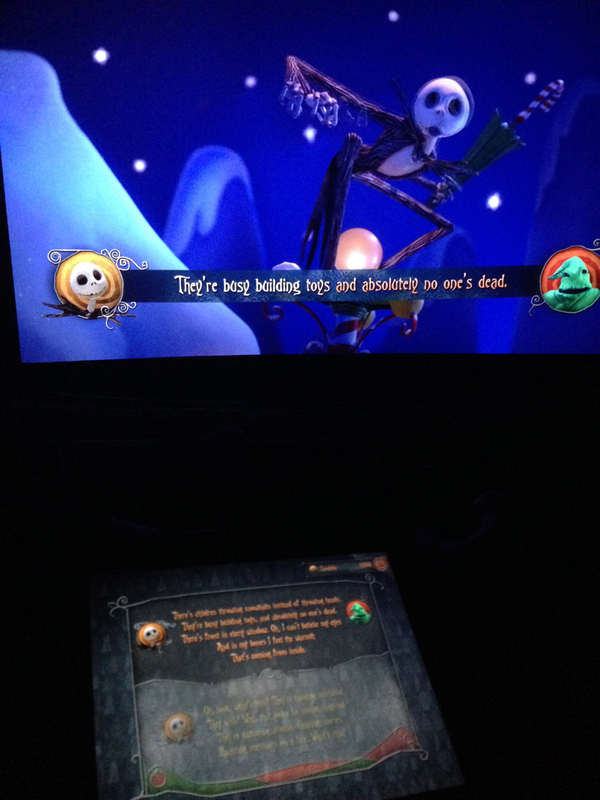 To see “Second Screen Live” you’ll need an iPad or iPad mini running iOS 5.0 or higher (it won’t work on the iPhone) and you’ll need to download the Nightmare Before Christmas Second Screen Live app (it’s free) before you get to the theater. Once you’re sitting in the theater, you’ll get instructions on how to get started. As the movie plays, there’s a running commentary on the bottom of the screen that gives you instructions for puzzles and games to play on your iPad (your “tombstone”). You’ll play several rounds of “bones” (xylophone), winning points for how well you memorize the pattern. There are multiple choice quiz questions, several “find what’s different in this picture” puzzles, and opportunities to earn points in the “casino.” Of course the favorite game for our younger kids were the quick-touch games such as touching as many snowflakes as you can during a snowstorm to earn points. At the end of the movie, your points are tallied and you can find out who’s the winner on your “team.” It’s fun to do with the whole family, and it’s a great opportunity to make the big-screen experience more engaging and interactive. To find where the movie is playing near you, click on the Second Screen Live page. Blogger disclosure: Disney gave us passes to preview the movie. We did not receive compensation; all opinions expressed are our own. 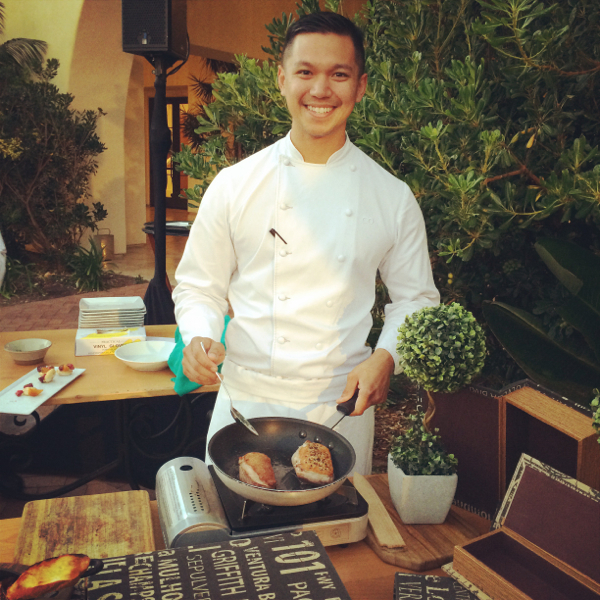 Are you ready to go the extra mile for South Bay kids? Check out the SKECHERS Pier to Pier Friendship Walk, coming up on Sunday, October 27. The annual walk, produced by SKECHERS USA and co-produced by The Friendship Circle, raises money for local schools and programs for kids with special needs. The Friendship Walk has become one of the largest walks of its kind in the nation. To take part in the walk, all you have to do is register for a $25 fee. You can make it more fun by joining a team and raising more money. Best of all, you can choose whether you want your dollars to go to the Friendship Circle or to one of your local education foundations. This year, the goal is to raise $1 million dollars. 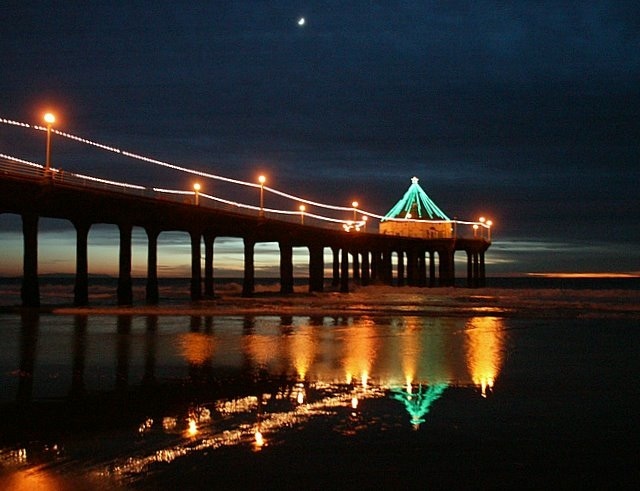 The event starts at 9:00 am at the Manhattan Beach Pier (get there at 8:30 for early fun). When the walk is over at noon, you can stick around for the world-famous Manhattan Beach Pumpkin Races. So lace up those shoes and get ready to walk!